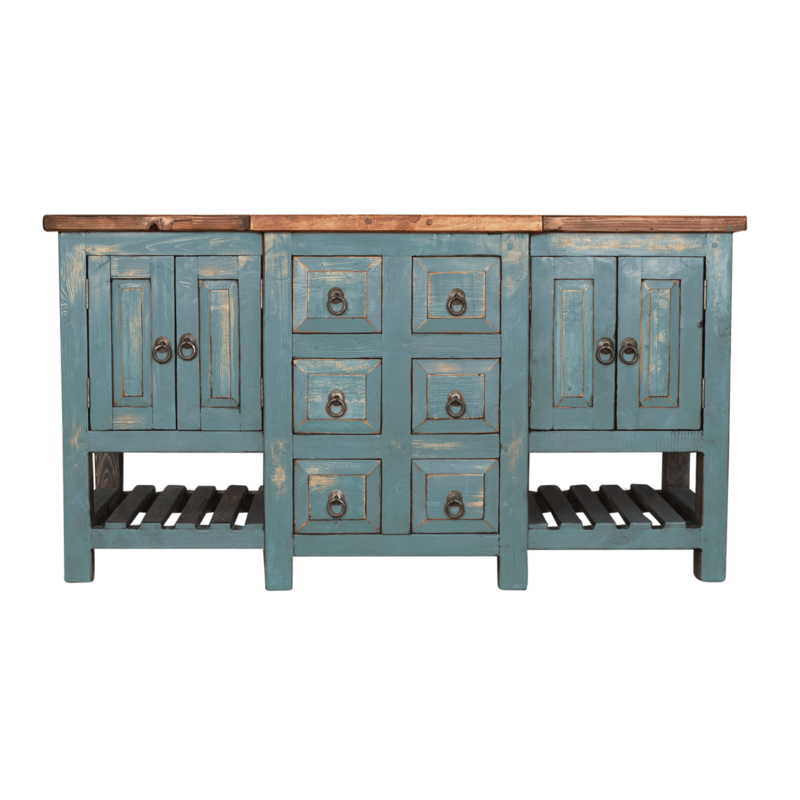 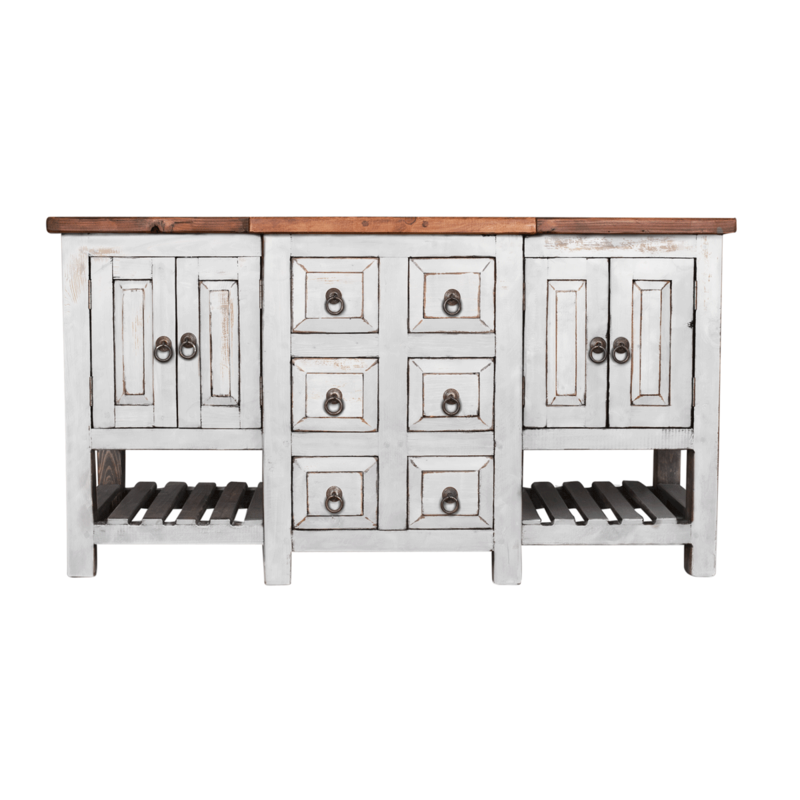 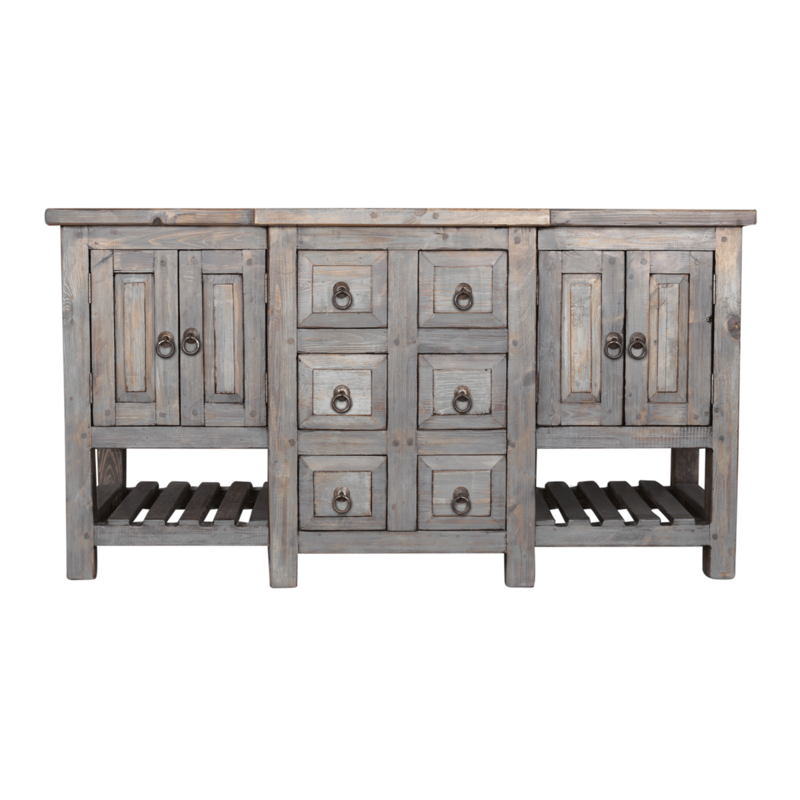 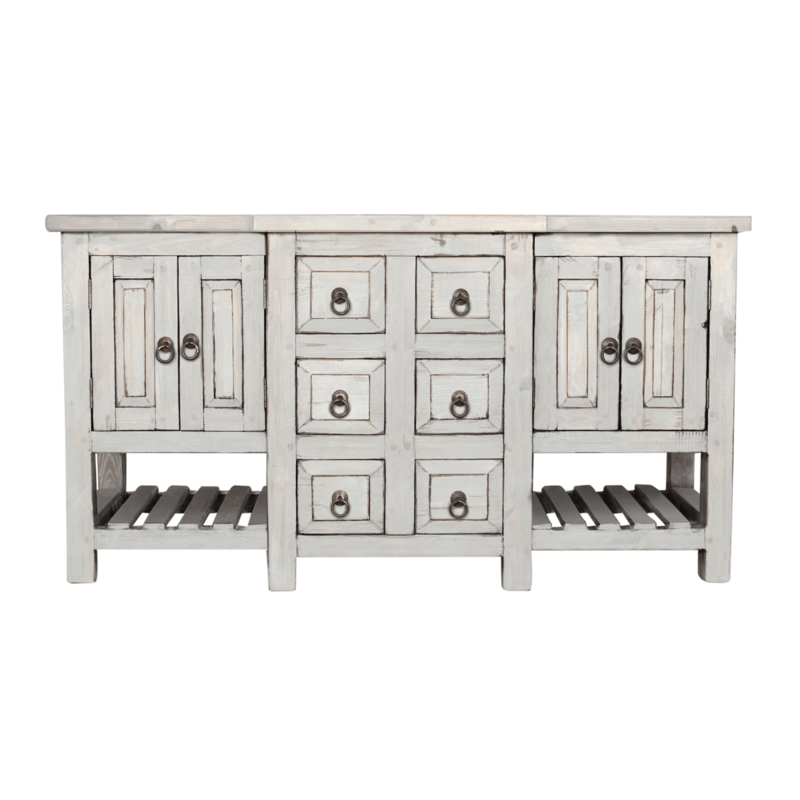 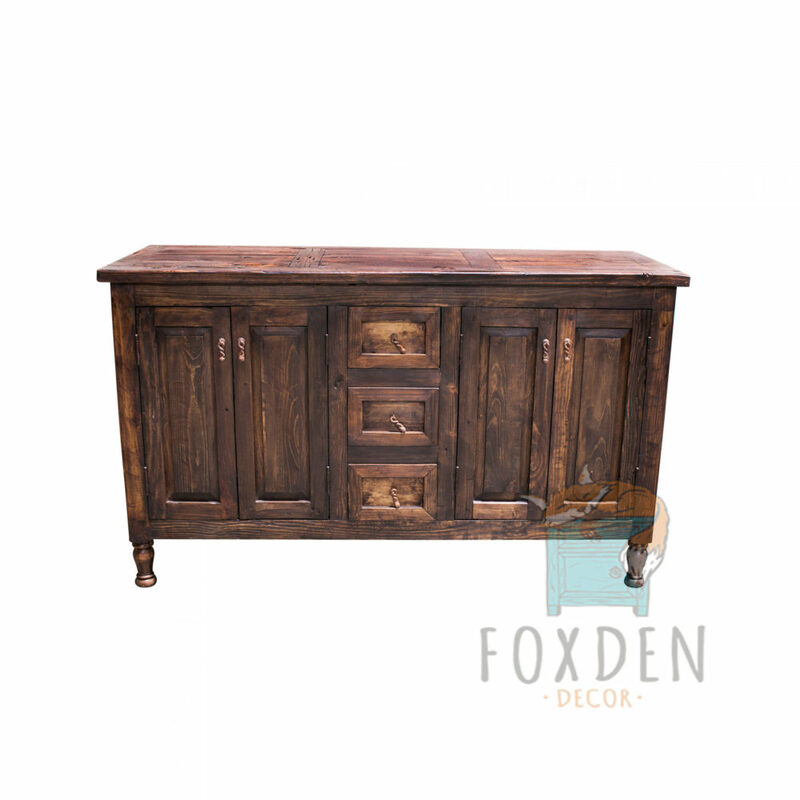 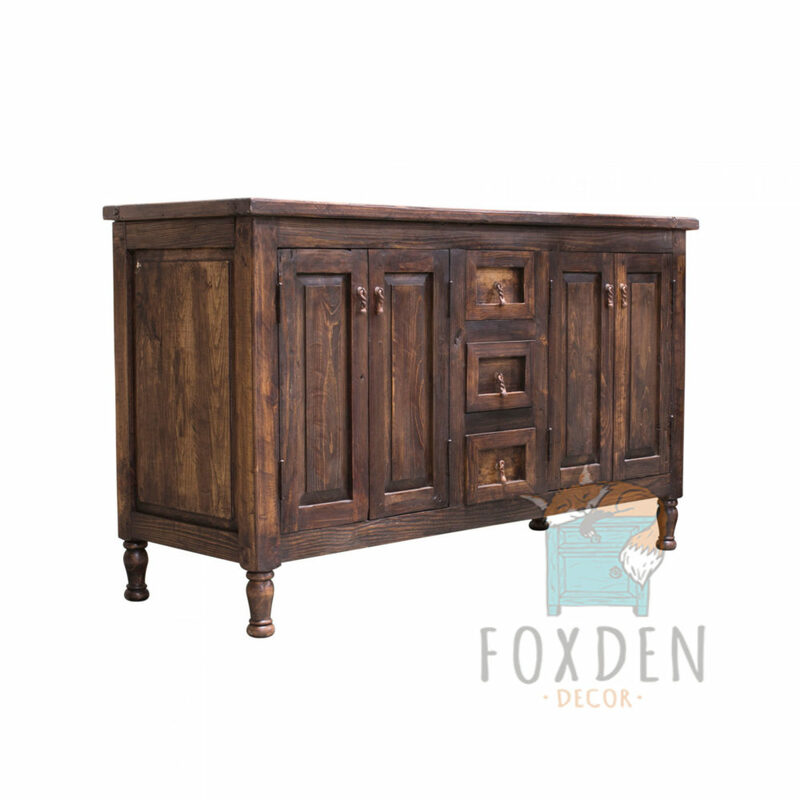 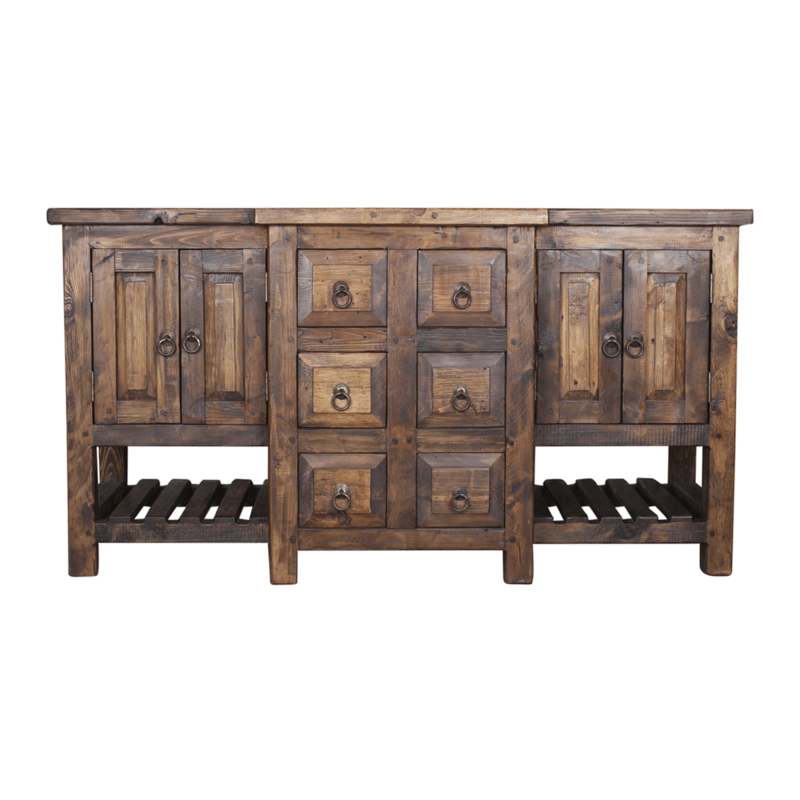 This beautiful double sink barnwood vanity is the perfect addition to any rustic bathroom! 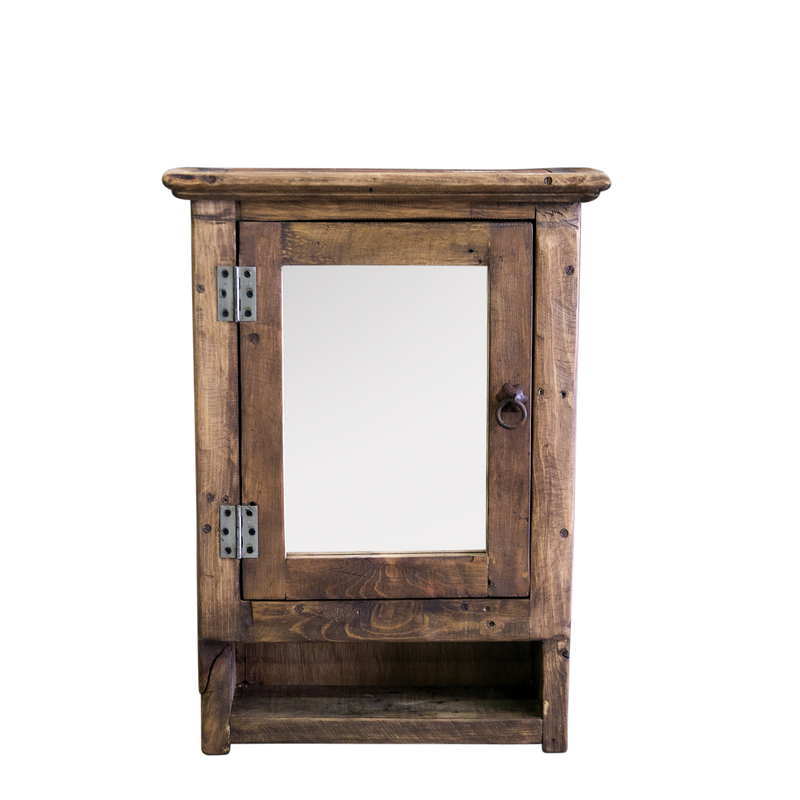 The vanity is made from reclaimed wood. 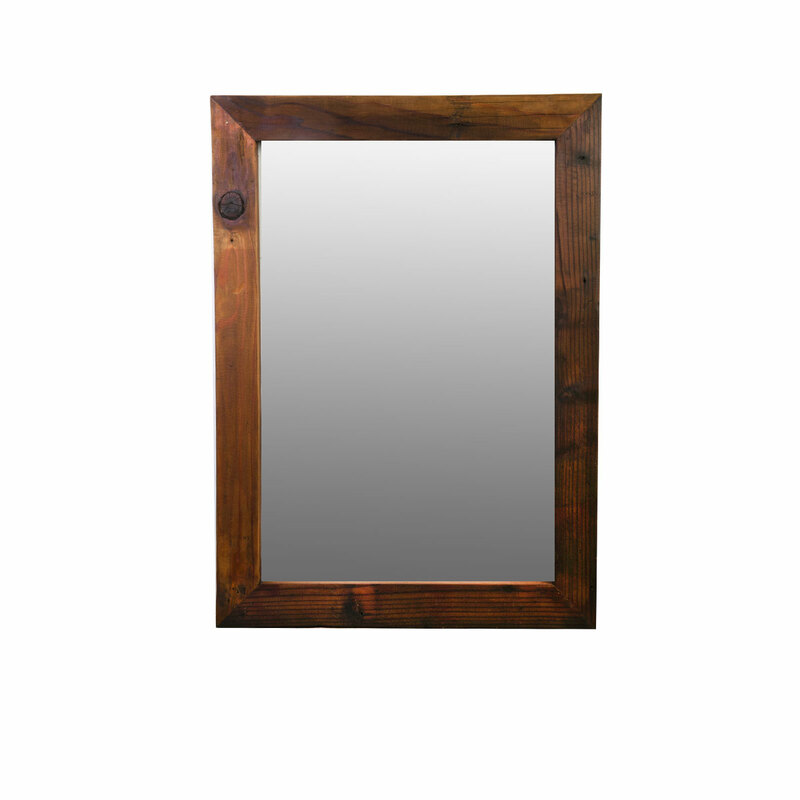 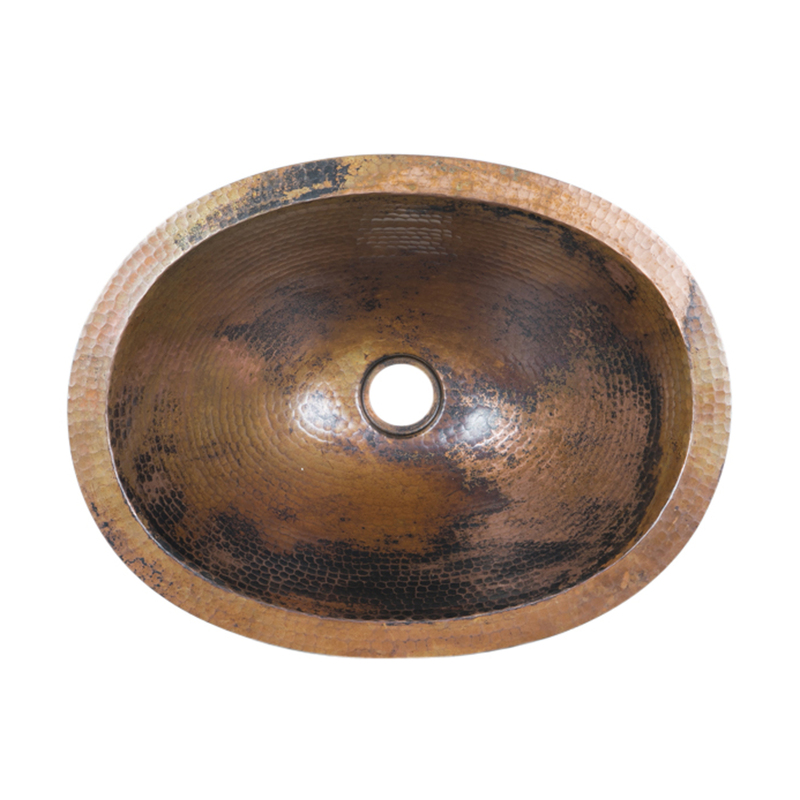 The reclaimed wood has natural, worn appearance with old holes and cracks which add to the beauty and charm! 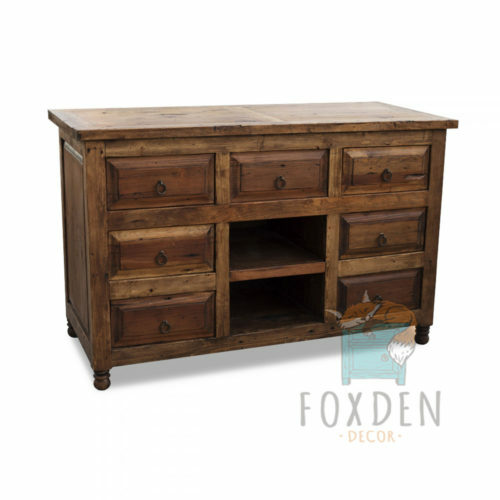 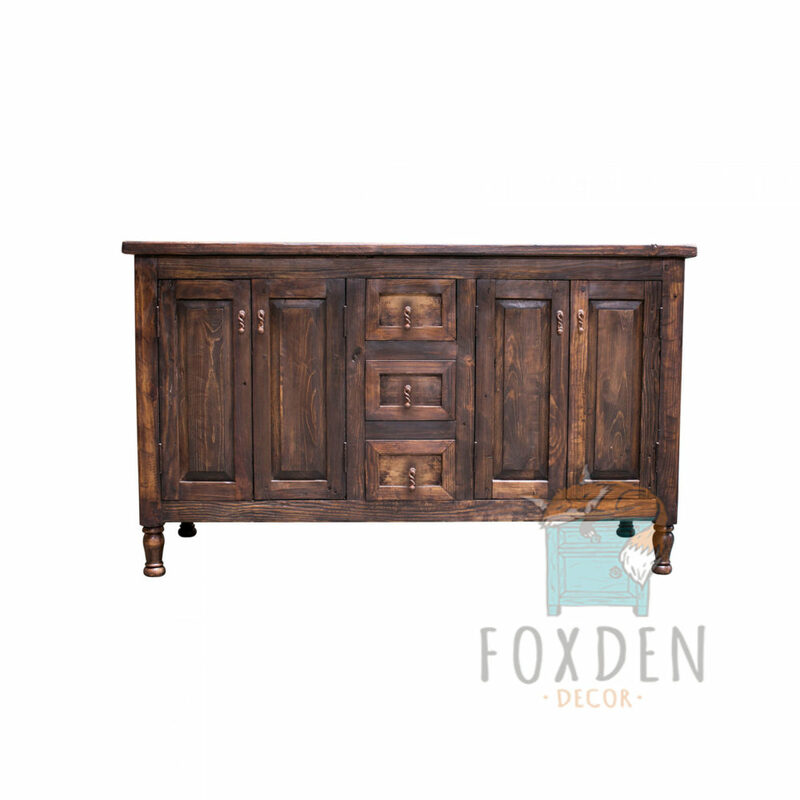 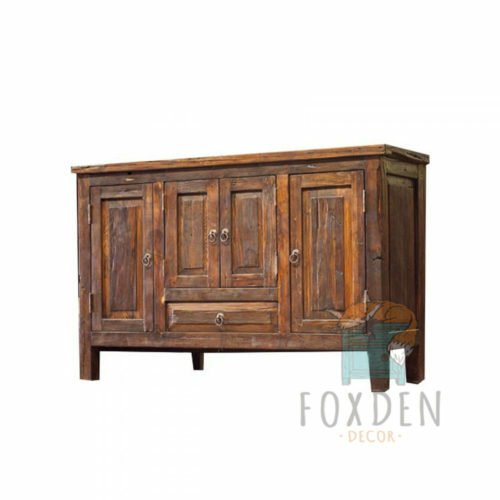 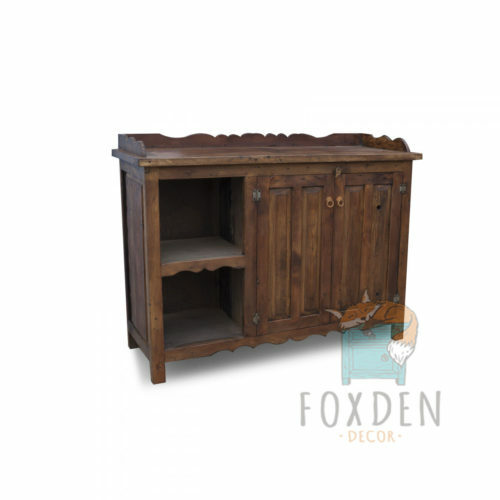 The vanity is finished in a hand rubbed paste wax which protects the wood and gives it a smooth, buttery finish. 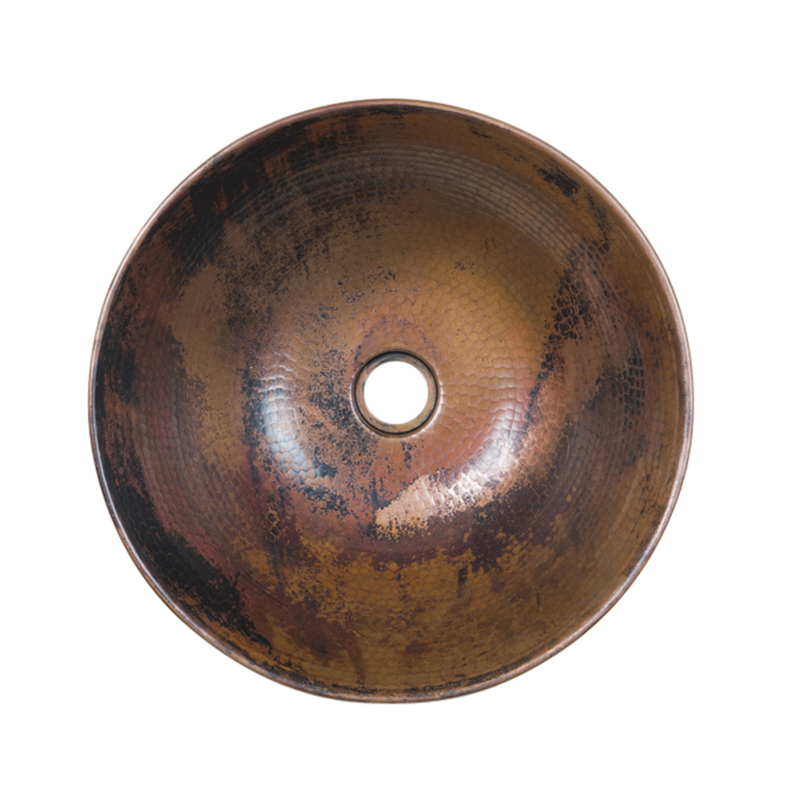 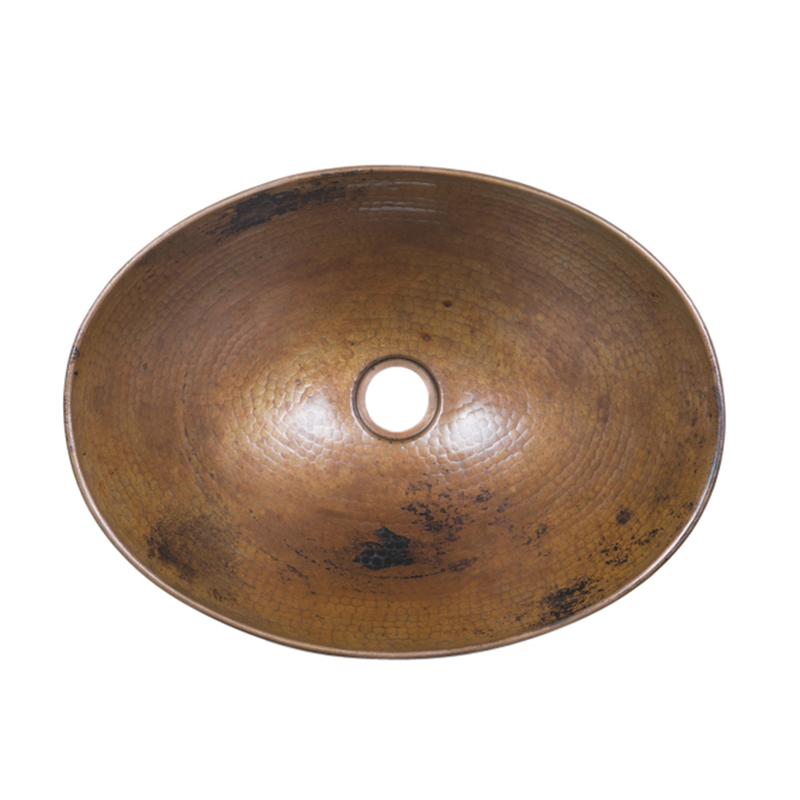 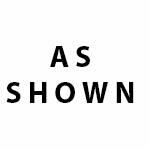 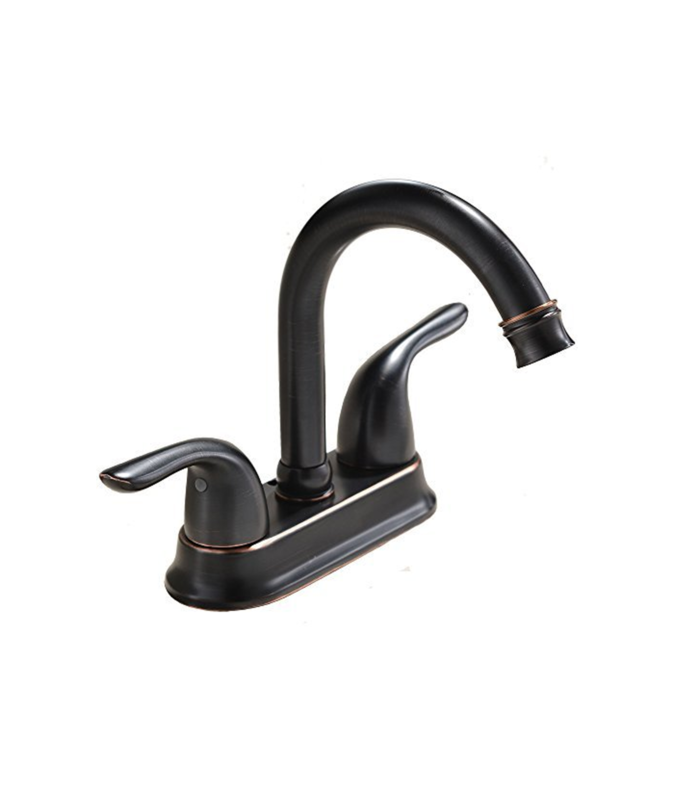 Although the piece is photographed with sinks, the sinks are not included. You may view our sinks here. 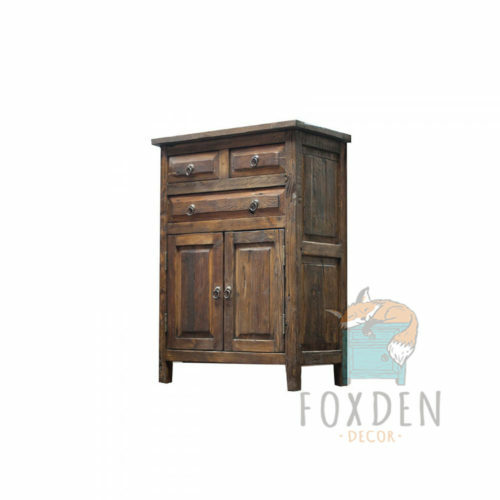 The top of the vanity has been sealed with lacquer to protect against water damage.